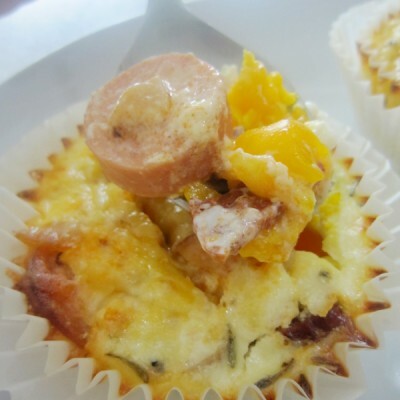 On a weekday, I’m not particularly big on breakfast because I don’t have the leisure of time to eat, let alone prepare one. 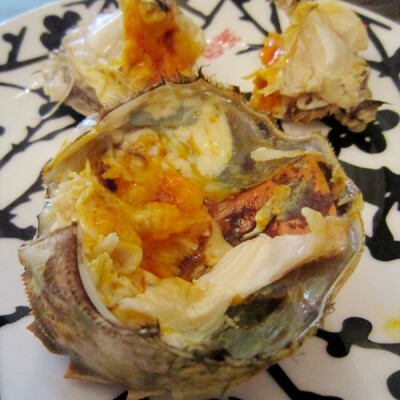 It’s a different story during weekends – breakfast/brunch becomes my favourite meal. 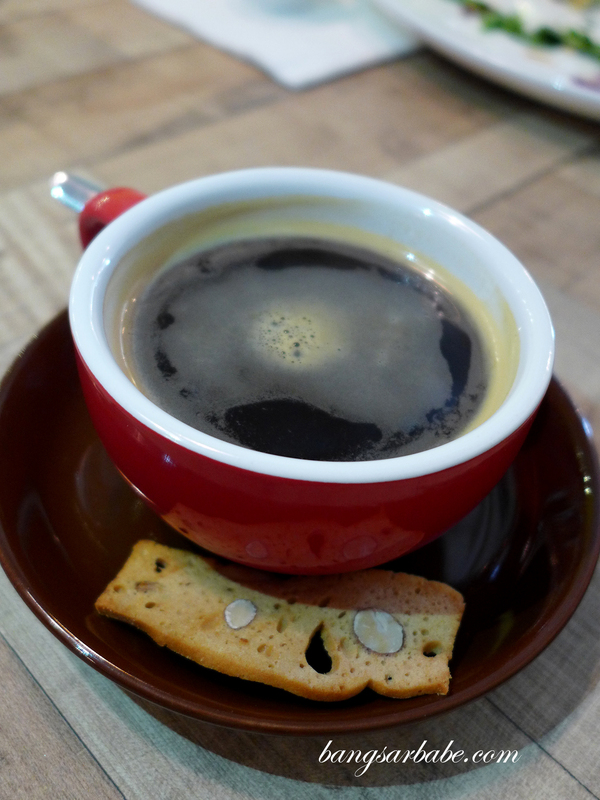 With so many newcomers in the café scene, it is hard to keep track and decide on which is best for me. 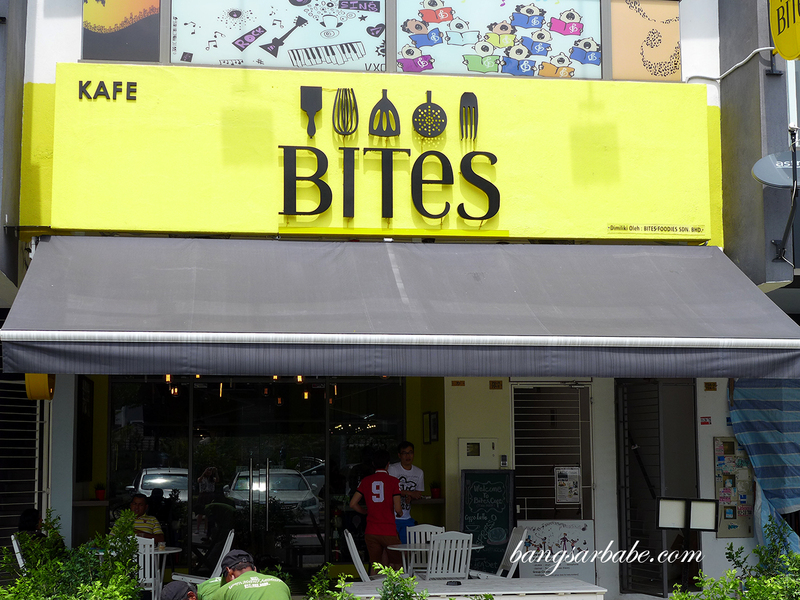 Bites Café at Lake Fields has been the talk to town, among the blogging community and reviews of the place pops up on my FB newsfeed almost daily. Which means, they are either really good at strategic marketing or, the food is rave worthy. 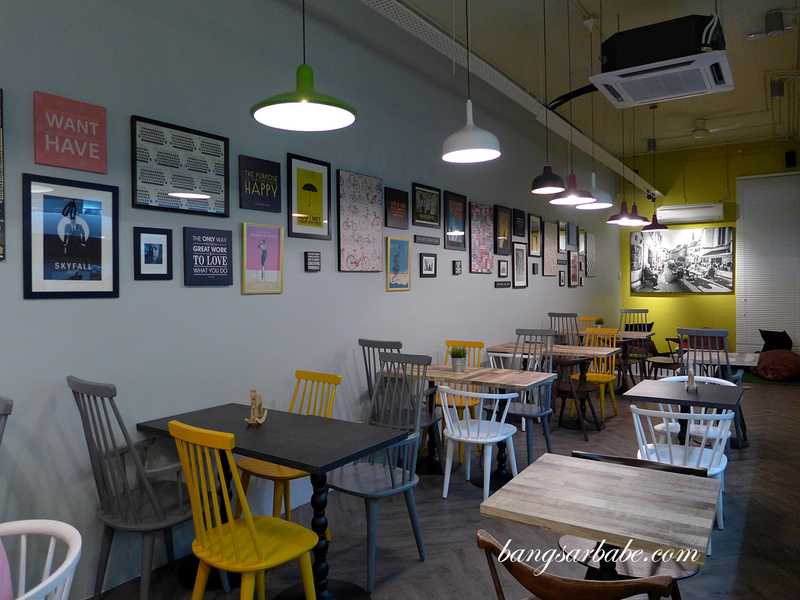 Love the quirky quotes and pictures on the wall! 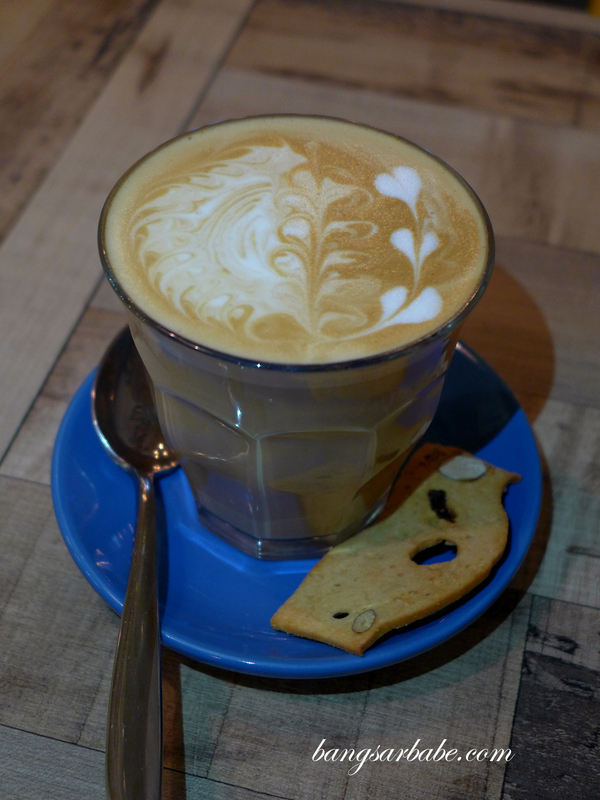 The café is the brainchild of three partners, inspired by the café culture in Melbourne where breakfast is simple and delicious. 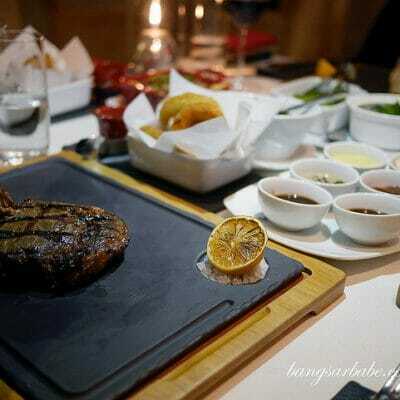 Most of the items are made from scratch, from salad dressing to accompanying sauces to bring something a little more unique to the table for customers. 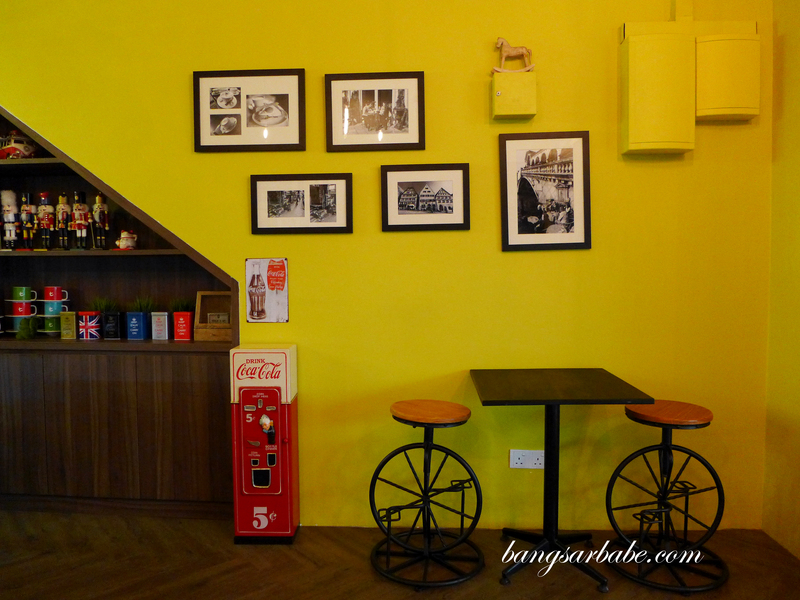 The décor is retro – boasting a yellow feature wall with quirky collectibles on the right and a series of inspirational quotes and retro images along the entire left wall. 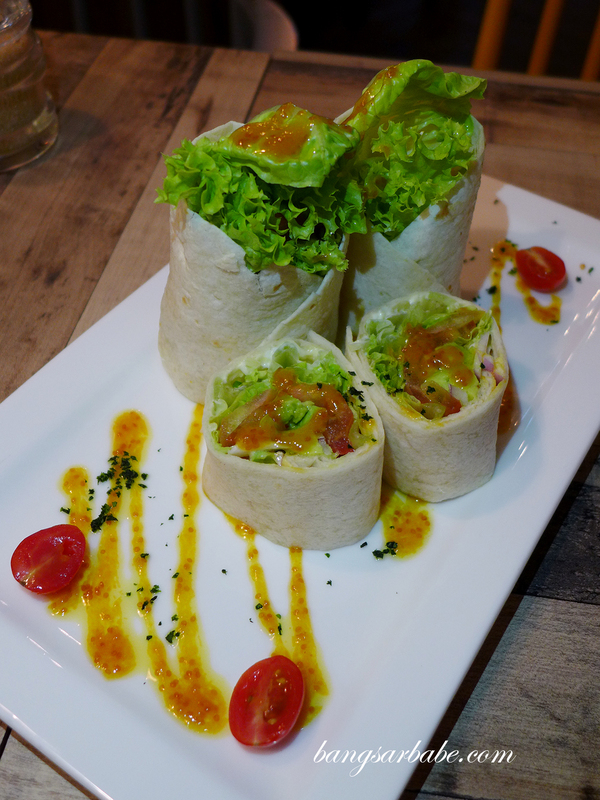 We tried several items on the menu, starting with It’s a Wrap (RM14.90), a vegetarian wrap of salad and avocado in special orange and gooseberries dressing. Never thought I would say this but it was one of my favourites at Bites – the combination of crisp vegetables and creamy avocado with tangy –sweet dressing worked well together. 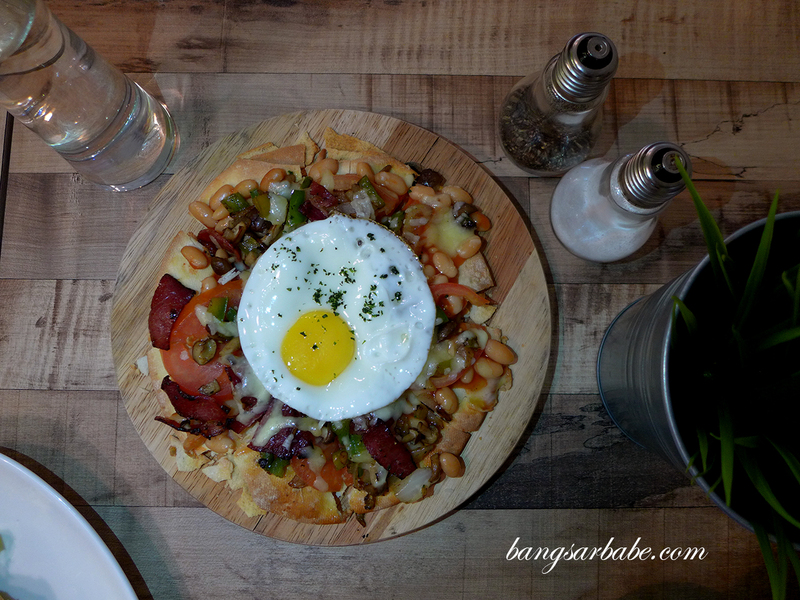 While the owners wanted to bake their own breads, the kitchen size did not permit so they resorted to waffles – a good choice I thought, as I am a fan of savoury waffles. 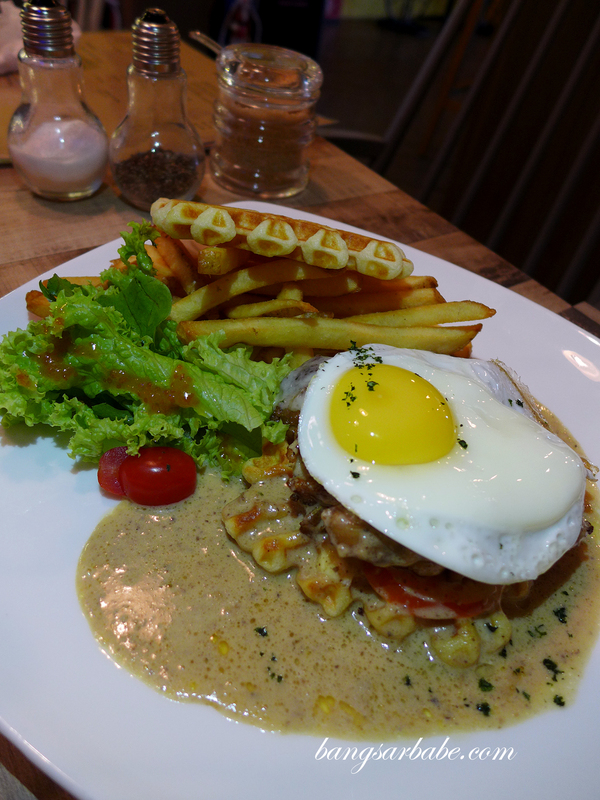 Club Sandwich Waffle (RM12.90) was a sizeable portion of beef bacon, egg, cheese, lettuce and tartar sauce, sandwiched between two lightly toasted waffles and served with a side of fries. 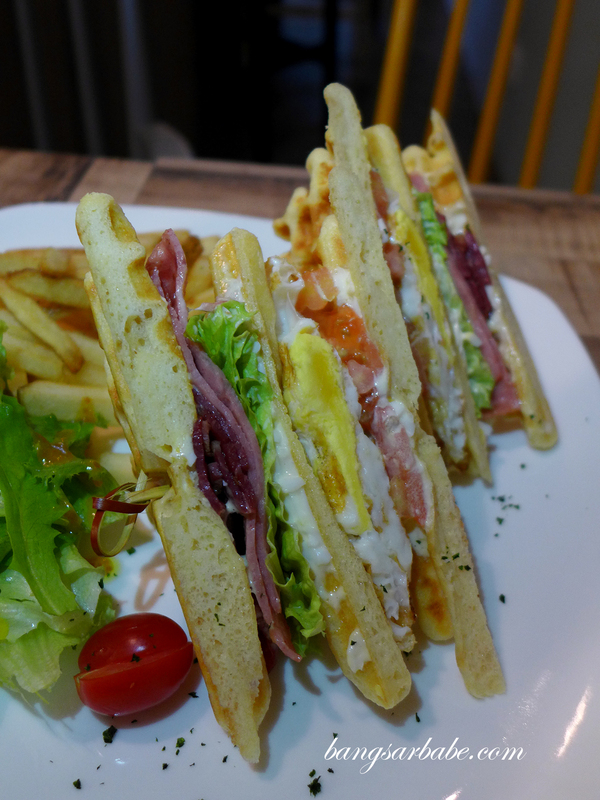 Not much different from the usual club sandwich, but the waffles gave it a twist. Runny yolk on a thick slice of salmon. Yum! 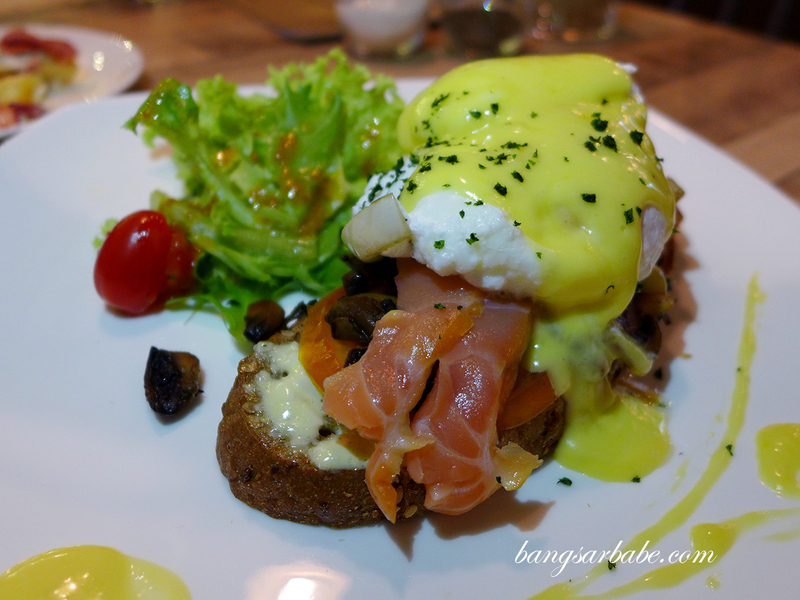 I liked the Eggs Benedict with Smoked Salmon (RM17.90), a breakfast favourite these days. 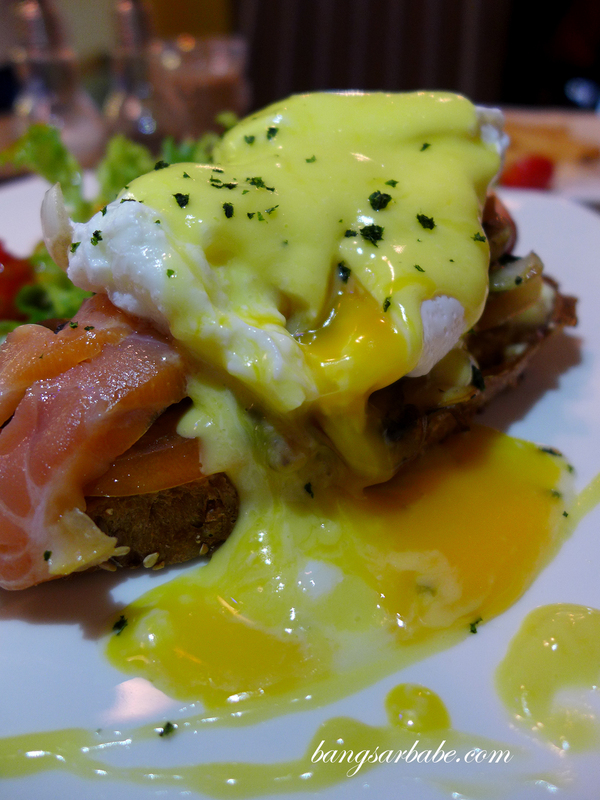 The egg was perfectly cooked and sat atop a thick slice of smoked salmon and drizzled with Hollandaise sauce. Grilled Chicken & Waffle Sandwich (RM15.90) is comfort food at best. 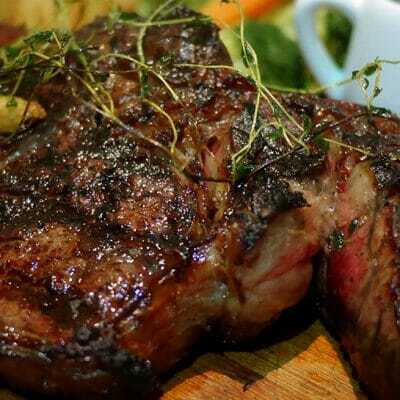 Rich, savoury and best of all, a tummy warmer. 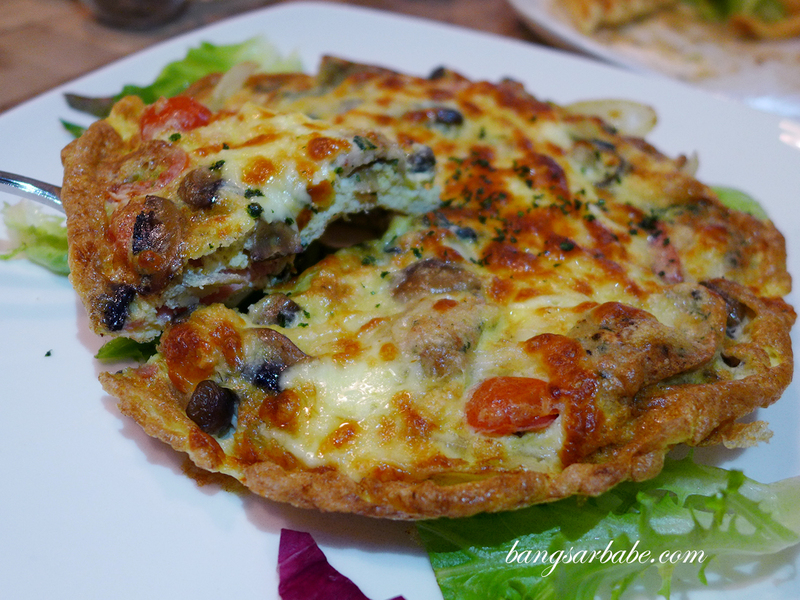 Less stellar was The Italian (RM14.90), a breakfast frittata of turkey ham, onion, spinach and cherry tomato. There wasn’t anything wrong with it per se, but I’m generally not a fan of frittata because of its slightly dry nature. 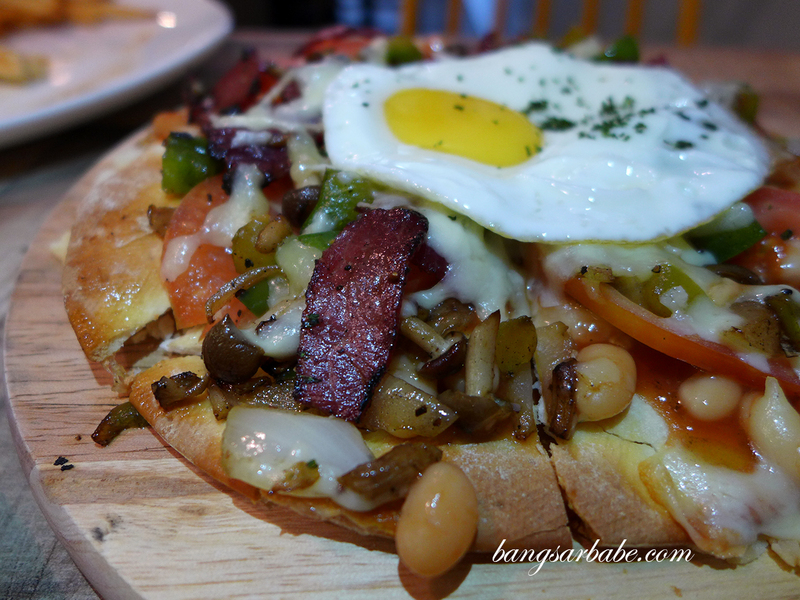 That said, I preferred it over the Breakfast Pizza (RM14.90) as the latter had too hard a pizza base, which did not complement the beef bacon, egg, baby spinach, mushroom and cheese topping. Bites Café gets their ice cream supply from Last Polka, which has proven to me over the years to be inconsistent in quality. 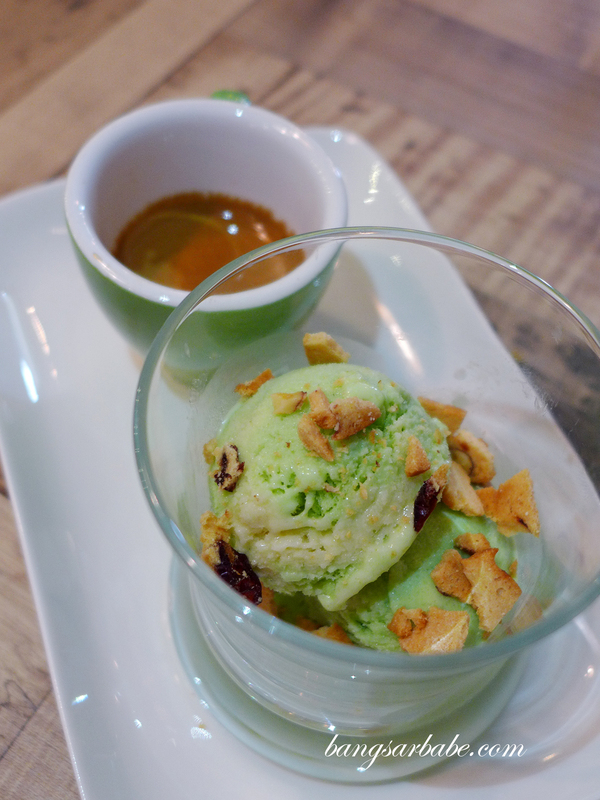 And I was proven right when I tried the affogato with pandan kaya ice cream (RM9.90). The ice cream was icy and clumped together in an unappealing manner. 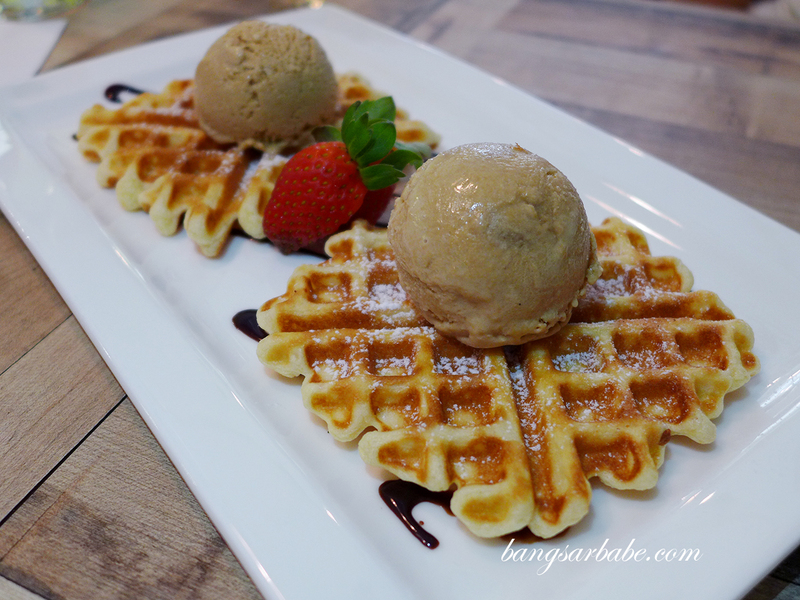 Waffles with Salted Gula Melaka Ice Cream (RM11.90) suffered almost the same fate as the icy nature of the ice cream failed to complement the waffles. While some items didn’t quite hit the spot, I would recommend trying the Eggs Benedict and Grilled Chicken Waffle Sandwich. 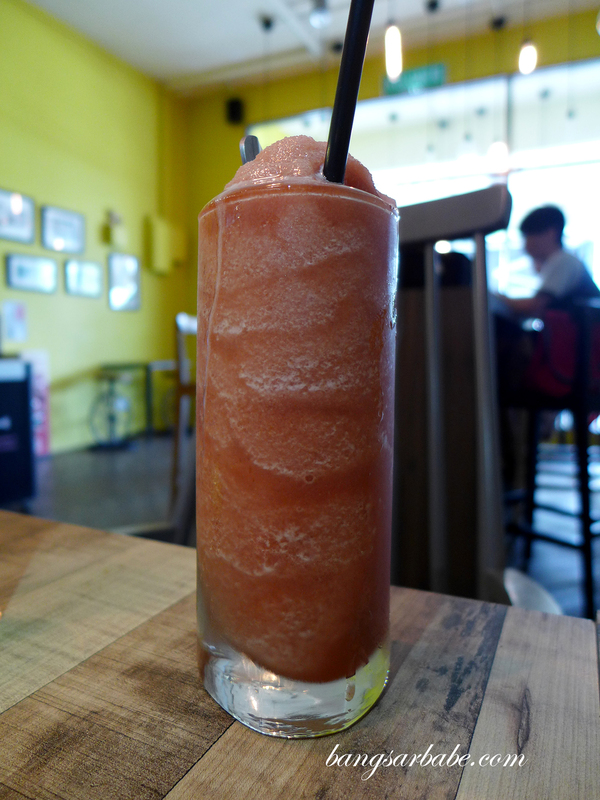 These are the two things I would return to Bites Café for. Verdict: I like the breakfast items here. Pity the ice cream didn’t do the desserts justice.